There are many different types of musical instruments, often running in families. This causes a lot of debate over which instrument in a family is better to play. One of the most widely know of these pairs are electric and acoustic guitar, but the other one most debated is piano and keyboard. Depending who you ask, you’ll be told that the piano is better for precision and musical theory, whereas the keyboard is better for portability and versatility. Generally, popular music today uses a keyboard. Depending where you want to take your musical career, you can learn either keyboard or piano lessons . Electric keyboards are quite versatile, often having a whole bank of synthesised instruments to choose from, usually at least a hundred. You can practice and record all the different parts to a song, effectively serving as your own orchestra by playing and recording all the parts. Another difference between keyboard and piano is that keyboards are electronic and don’t need a good acoustic setup. If you become too reliant on this fact, you may not properly come to appreciate the need for acoustics. Also, keyboards automatically play a perfect synthesised pitch for their notes, so there isn’t really a feel for the instrument. The note is held for as long as you press the key on a keyboard, but this can be done as well with a piano if you properly time a pedal press. Volume is also controlled automatically by keyboards. Pianos by contrast are a little more difficult to work with at first – tuning has to be done manually, for instance, because there are physical strings. You have to press one of the foot pedals to play a prolonged note, and this helps to develop your sense of timing. The volume of piano notes is determined by how hard you strike the keys, so this gives you a little more hands-on, precise control over how loud you play. Pianos in fact require precision and knowledge of local acoustics to give off a good sound, as opposed to a keyboard that practically does everything for you. 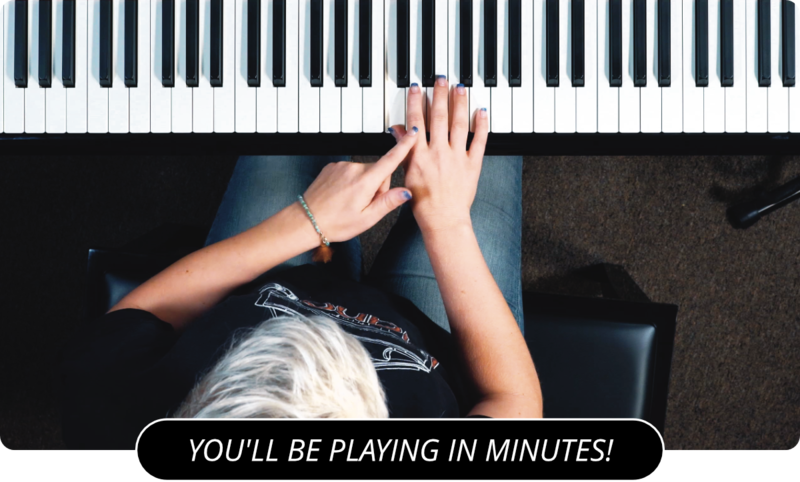 When choosing whether to take keyboard or piano lessons, you also have to consider which instrument would be more appropriate in the situations you’re most likely to be in. For popular music, many performers choose the keyboard, because it’s obviously easier to carry around a keyboard than it is to carry a piano. If you’re expecting to perform a lot of gigs at a quieter set of venues, such as churches or if you’re going to be playing along to softer music, you should go with piano lessons, especially if you expect to be performing piano for a majority of your musical career. You can play either instrument you want, depending on your plans and personal tastes. The keyboard has more versatility in the instruments and sounds it can emulate, whereas the piano is better for learning the underlying music theory. Also, the keyboard is easier to pick up and play because everything’s already preconfigured as long as you can figure out the settings you want. Whether your taking jazz piano lessons , blues piano lessons , keyboard or piano could be played for any of them. It is your personal preference for what sound you want, either more electronic with the keyboard, or organic with the piano. When you're looking for a piano teacher you should find a teacher that specializes in the instrument you're looking to play. Learn more about piano lessons or keyboard lessons by visiting the main page of PianoLessons.com , or by going through some of our other great piano lesson articles that we've posted on this web site.